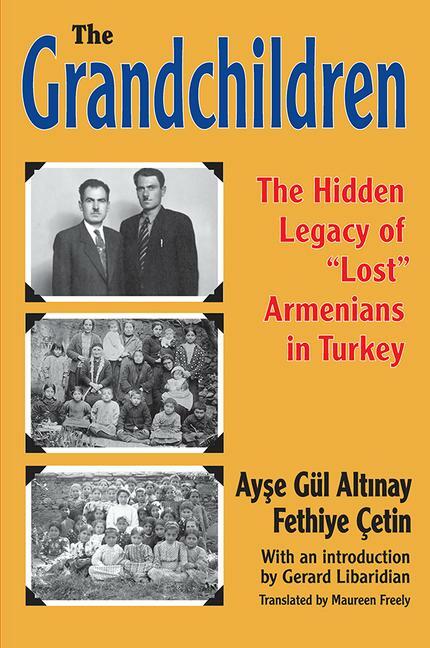 The Grandchildren is a collection of intimate, harrowing testimonies by grandchildren and great-grandchildren of Turkey's "forgotten Armenians"�the orphans adopted and Islamized by Muslims after the Armenian genocide. Through them we learn of the tortuous routes by which they came to terms with the painful stories of their grandparents and their own identity. The postscript offers a historical overview of the silence about Islamized Armenians in most histories of the genocide. When Fethiye cetin first published her groundbreaking memoir in Turkey, My Grandmother, she spoke of her grandmother's hidden Armenian identity. The book sparked a conversation among Turks about the fate of the Ottoman Armenians in Anatolia in 1915. This resulted in an explosion of debate on Islamized Armenians and their legacy in contemporary Muslim families. The Grandchildren (translated from Turkish) is a follow-up to My Grandmother, and is an important contribution to understanding survival during atrocity. As witnesses to a dark chapter of history, the grandchildren of these survivors cast new light on the workings of memory in coming to terms with difficult pasts.